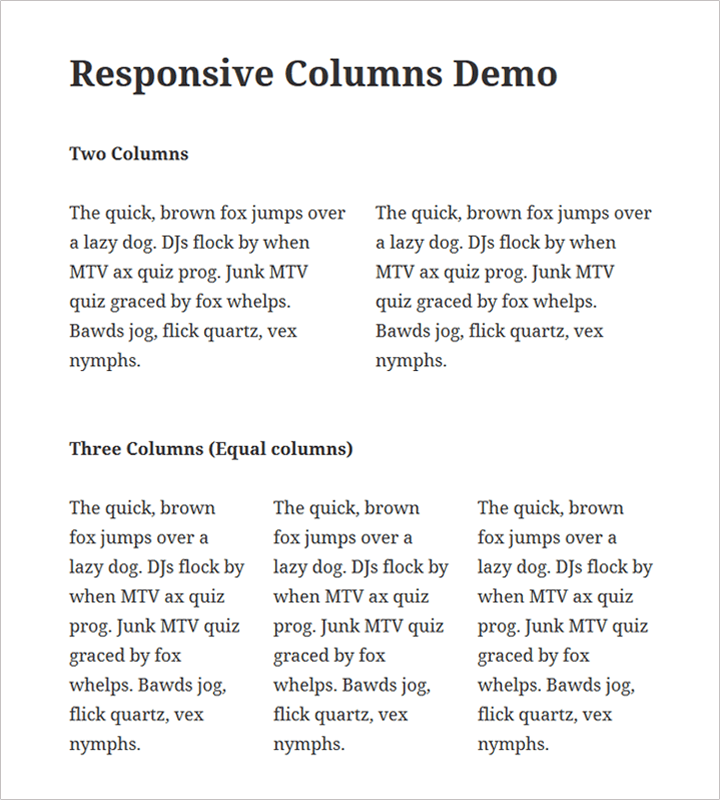 WEN Responsive Columns provides you with a shortcode that will help display columnized content. Just one shortcode [ wrc_column ] is in effect for convenience but the sole is enough for generating multiple mixes of columns. Grids could be 2, 3, 4, 5 or 12 and you can easily add columns using button in the editor. Select your desired layout and use shortcode. That’s it !